(CNN) In 2008, an Olympic year, Lee Sweeney’s phone was ringing nonstop. For a busy physiologist at the University of Pennsylvania’s Perelman School of Medicine, that may be expected, but the reason behind the calls wasn’t exactly run-of-the-mill. The people on the other end of the line were athletes in search of a particular kind of fix: They wanted him to dope them — via their genes. In the late 1990s, Sweeney made headlines because of his research on “Schwarzenegger mice,” which were up to 30% stronger than their average counterparts. Sweeney had been able to isolate the gene responsible for activating a protein — IGF-1 — that controls muscle growth and repair. The main focus of his experiments was on how to limit the deterioration of muscles with age, but the results also appealed to athletes in search of a performance boost. Word got out, however, that he was not interested. Ahead of this year’s Commonwealth Games, which started April 4, Sweeney’s was not such a hot number for athletes in search of an unfair advantage — possibly because he is now an adviser for the World Anti-Doping Agency. Back then, gene therapy — defined as the technique of using and manipulating genes in order to treat or prevent diseases — wasn’t as established as it is today and wasn’t recognised as enough of a threat to be listed as a banned practice in sport. But it soon became known that gene therapies could one day be used for much more than disease. Responding promptly to the possibility, in 2002, the anti-doping agency established “gene and cell-doping panels” of expert scientists to discuss how best to head off the problem. This new frontier of doping presented a simple and dark idea: What if there was a way for dopers to never be caught? Now, almost 20 years later, the technology is has finally been used to treat patients with rare diseases — such as severe combined immunodeficiency, chronic granulomatous disorder, hemophilia, blindness, cancer and neurodegenerative diseases — by transferring missing genes into skeletal muscles, Sweeney said. “So because of that, it is now at a point where potentially it could be used by athletes. “It could be done today in athletes if some company and government would put the resources (in) to make it happen,” he said. In the case of the “Schwarzenegger mice,” Sweeney used the classic method of gene therapy, in which he modified the animals’ DNA using a virus to deliver and insert the required gene that would make the mice stronger. Genes are delivered into an organism using a “vector,” the most common being viruses, like that used by Sweeney, which have been modified to be safe and no longer cause disease. The vectors carry the desired gene into targeted cells and, there, unload the genetic material, which in turn instructs the organism to produce the protein the gene encodes. One example of a protein well-known to athletes is erythropoietin, commonly known as EPO, which regulates the production of red blood cells in the body, increasing hemoglobin and oxygen delivery to tissues. With the injection of external EPO, elite athletes — often cyclists — have been enhancing performance for years, but authorities have caught on. Anti-doping controls can now detect external EPO efficiently through blood and urine tests. 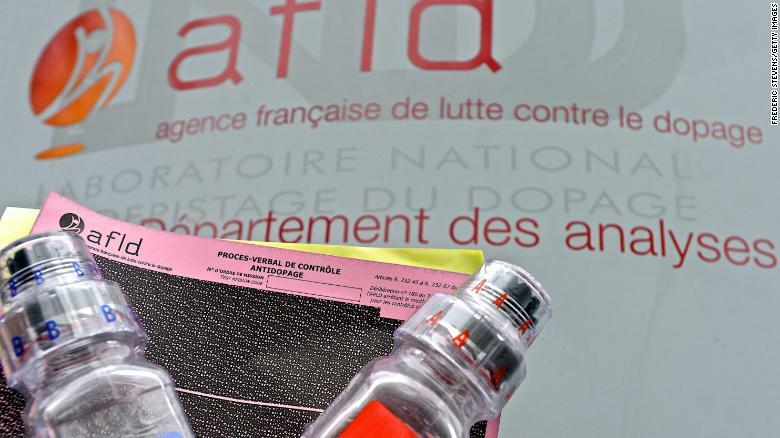 A doping urine test kit is seen on February 25, 2015 in Chatenay, France. If extra EPO is being produced organically by a cell’s machinery, however, it is almost impossible to detect as a banned substance. But the technology is not quite at that level yet. “Making the viruses that are involved in doing the gene transfer is still difficult,” Sweeney said, highlighting that the science is still complicated and not something athletes could readily do at home. Another way to dope an athlete’s genes is through CRISPR, or CRISPR-Cas9, a technique that allows geneticists to edit specific parts of a person’s genome by removing or altering sections of DNA — also known as gene editing. The ban went into effect in January. “There’s a couple of ways you can use CRISPR-Cas9,” Sweeney said. “One is to take cells from a person, modify those cells and put them back into the person, and that is probably the safest way to use it. 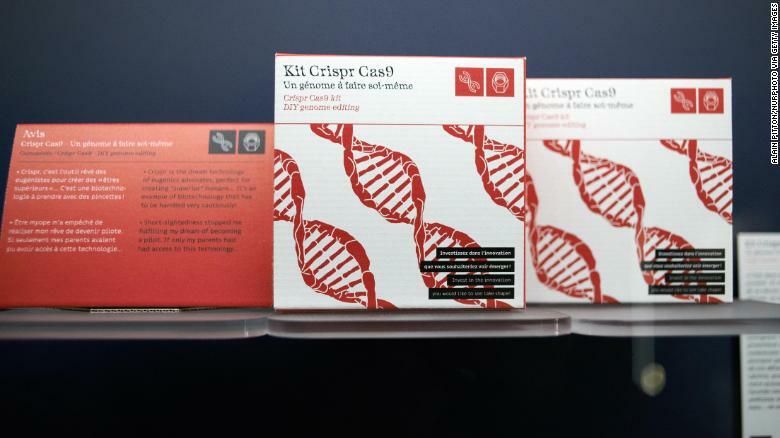 False kit of genetics editing with Crispr Cas-9 technology. Sweeney pointed out that scientists do not know what unintended consequences could come from changing a specific gene in an individual, meaning the technology is not even ready for trials in patients with lethal diseases. In the case of gene-doping through gene therapies, using vectors for delivery, it’s relatively easy to look for an extra copy of a gene and confirm that an athlete has been doped when you have access to a biological sample, such as blood, said Olivier Rabin, senior executive director of sciences and international partnerships at the anti-doping agency. In particular, Rabin said, the agency looks at white-blood cells and has developed a methodology that can be applied to search for different genes. Further detail was not provided, as it is kept confidential in order to catch athletes, he added. “Gene editing is a little more complex than gene therapy,” Rabin added. The anti-doping agency is working on strategies to reveal the possibility of people editing their genes for performance enhancement, he said. Rabin highlighted that most of the agency’s efforts focus on white blood cells as “pretty good markers of gene manipulation” because some evidence of manipulation will usually end up in the blood. The question now is whether the first few cases have, in fact, happened without our knowledge. “I never heard anything about it except for one time, and it was around five years ago,” said Sebastian Weber, coach of four-time Union Cycliste Internationale world champion (time trialling) Tony Martin. “There was some buzz around a substance called AICAR,” or 5-Aminoimidazole-4-carboxamide ribonucleotide. AICAR is a performance-enhancing drug that the French Anti-Doping Agency suspected was used in the 2009 Tour de France; it stimulates mitochondria, the part in the muscles responsible for aerobic energy production. In cycling, for gene doping to be effective, techniques should target both EPO levels and red blood cell production to have a higher oxygen delivery to the muscles, Weber says — but they would also need to increase the mass and number of mitochondria in order to actually produce energy from that oxygen. “Just because you have more oxygen, it doesn’t necessary mean you also have the capacity to produce energy out of it,” Weber said. There are other ways genetics — and a deep knowledge of them — could help athletes improve their performance, by understanding their physiology. For example, project GENESIS — focused on how applied genomics in elite sports can improve performance — and its offshoot, the RugbyGene Project, are trying to identify which genetic characteristics help athletes succeed. The researchers of these projects are hoping to identify which genes help — or hinder — athletes in their specific disciplines, to develop their skills in a more tailored way. For example, if an athlete has shown to have a higher genetic vulnerability to tendon injuries, scientists and coaches could reduce certain aspects of their training load over the course of the season, give longer rest periods, reduce the number of matches played in a season, or provide specific exercises and pre-habilitation workouts. Some experts argue that we’re looking at it all wrong and that athletes will always use the most modern technology to seek out an advantage — illegal or not. Instead of the current scenario, in which anti-doping keeps trying to catch up with doping, Miah suggests a safer form of performance enhancement. “If we can have a system where enhancement was actually medically supervised, then I think that is a much more safe and healthy.